People love our best selling Geo Print Workout Leggings! 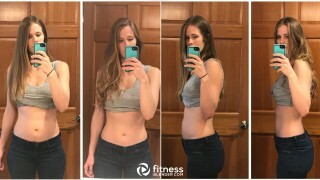 Join for free and start building and tracking your workouts, get support from other Fitness Blender members and more! These gourmet potato wedges are smoky, cheesy and crunchy, and can be even made on the grill for the perfect summertime side. You can replace them easily with potatoes, but these orange tubercles are loaded with exceptional nutrients that you can't ignore if you're trying to follow a healthy diet. Fiber, antioxidants, minerals – the sweet potatoes are loaded with them all, providing everything you need for a nutrient-rich and satiating meal. The health benefits of consuming sweet potatoes range from antioxidant support and digestion acceleration to the improvement of blood sugar regulation and anti-inflammatory activity. Combining them with a healthy, monounsaturated source of fats such as hemp or avocado improves the absorption of carotenoids, the main antioxidant nutrients in sweet potato, making them more available for our body cells and helping them to fight against free radicals damage. 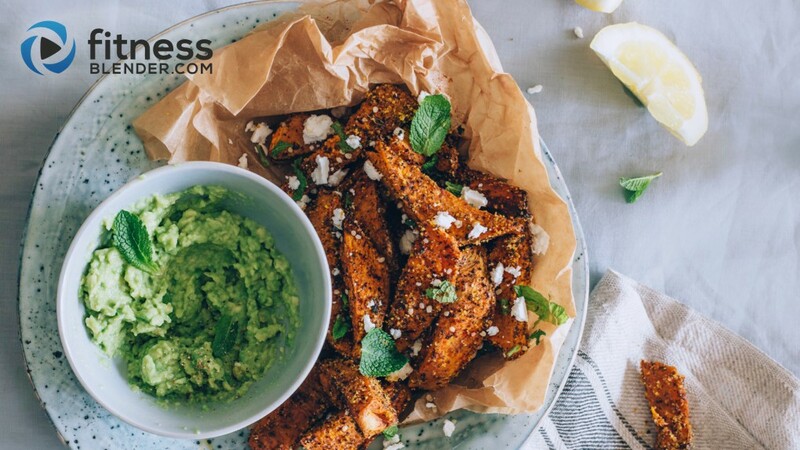 This is why serving these wedges next to the avocado mash is not only delicious, but also a great way to get the maximum benefits from the nutrient load in sweet potatoes. What I especially love about sweet potatoes is the fact that they contain an unique combination of copper, manganese and potassium, the minerals involved in the natural detoxification processes within our bodies. Potassium is present in high concentrations, contributing to a balanced level of sodium in our body, and helping the cells to pump out the excess sodium, alongside toxins and extra water. The potassium is also an excellent alkalizer, maintaining a balanced pH within our system. I love adding sweet potatoes to meals, for the taste and what they offer nutritionally. What makes these sweet potato wedges so special? Is actually the spice combination, creating a smoky flavor and an intense taste. I also added cornmeal to create crunchiness, because sweet potato wedges tend to get moist. The spice combination is not only a delicious one, but also one that supports the digestive process and enriches the wedges with extra nutrients. Ginger is an excellent addition to any meal, because it has soothing effects on your digestive system. It also has antioxidant effects. Garlic pairs perfectly with ginger and has cardiovascular health benefits. Mint is also a great digestive healer, while also having anti-microbial effects. As for the smoky flavor, the secret is the smoked paprika (always try to use the best quality available to obtain the best taste). Preheat the oven to 180 °C/356°F. Line a baking sheet with parchment paper and add the sweet potatoes wedges. Add all the spices and cornmeal, drizzle with coconut oil, season with salt and pepper and give them a good toss to coat evenly. Arrange them in a single layer on the baking sheet and roast for 30 minutes, or until crispy. While the wedges are roasting, smash the avocado with a fork into a medium ball, add the lemon juice and make a puree. Serve the wedges warm, garnished with fresh mint and next to the avocado mash. With FB Sweat, YOU get to pick the length of your workout session each day; 30 or 50 minutes. Customize the length of your workout depending on your own schedule & energy levels with this smart combination of HIIT, strength and more. A fun and tough combination of kickboxing, HIIT cardio, and core. Warm up and cool down included, no equipment. This is the difference in my body after a forced 2 month rest period, versus 1 month back into physical activity. On social media, we encourage you to use #FitnessBlender to share your progress, motivate others, and find inspiration.